The three authors of this book, Teresa Pinto-Correira, Jørden Primdahl, and Bas Pedroli, all teach courses linked to land planning and management at the Universities of Évora, Copenhagen, and Wageningen. In this book, they present an overview of the past changes in the landscapes of Europe, and how they see the future management of these landscapes. Continuous human management changed the landscapes in a series of phases since the last glacial period, from the hunting and gathering way of life to late twentieth century industrial farming. In historical times, social factors triggered either the clearing of forests for agriculture, as during the Roman period, or their regrowth, as in the early medieval period or nineteenth century France. Until the mid-nineteenth century, many regions of Europe were mainly self-sufficient in terms of agricultural production, with towns surrounded by agricultural landscapes which supplied them. Over the last hundred years, European landscapes have undergone major changes and the spatial economy changed, with an increased movement of goods and an increased regional specialization of production. This resulted in large areas specialized in crop production, such as the Beauce in NE France. A consequence of this trend was a human density decrease in some rural areas in E Finland, N Sweden, and in large parts of Hungary, Romania, and Bulgaria in the years 2000 to 2011. At the same time, agricultural production nearly disappeared in modern large cities surrounded by suburban areas mainly used for housing and recreation. All the recognized phases of rural history did not take place at the same speed throughout Europe. In some regions, such as Tuscany and Wales, the landscape retained the structure of small farms and housing highly valued for tourism. Such landscapes are called multifunctional by the authors. The differentiation between the high-production industrial landscapes and multifunctional landscapes increased over the last 20 years. These changes have dramatic consequences on the spatial sociology of crop production farming. As surfaces used by individual farmers increased, the human population density in intensive agricultural zones decreased, resulting in fewer services, such as schools and general practitioners being less available in such areas (Chevillard et al. 2016). The effects are also dramatic on the fauna and flora: It has been estimated that the biomass of insects has decreased by over 75% over a 27-year period, even in protected areas (Hallmann et al. 2017). Among birds, many formerly common species, such as the yellow wagtail Motacilla flava, the cirl bunting Emberiza calendra, and the tree sparrow Passer montanus, have decreased by over 30% over the last 15 years (Derouaux and Paquet 2018). Ecologists have identified the main causes of these population declines, such as the shrinking of suitable habitat patches and their fragmentation and the large-scale agriculture intensification (Frenzel et al. 2016). The authors tackle the difficult task of explaining the causes affecting landscape structure in Europe. The economic forces are doubtlessly extremely important. It is now recognized that farming should not be recognized as only the providers of direct or indirect food items. They also have a responsibility in terms of ecosystem services and landscape conservation. This importance of rural landscapes was highlighted during extreme conditions. One of these, the foot-and-mouth disease in the UK in 2001, forced a large-scale ban of access to the countryside; while its direct cost to the husbandry sector in the UK amounted to ca. GBP 3.1 billion, its indirect cost to the tourism sector was estimated between GBP 4.5 to 5.3 billion. This shows the importance of rural areas to the now mainly urban population. The book is full of such examples linking land use, land usage, history, and current economy. The book is mostly about how rural Europe is changing and why. Both spatial and historical scales are covered. A series of cases studied, from the Dutch Polders to the Danish Moraine landscape in Hvorslev and to the Serpa olive groves, Portugal, give a panel of examples illustrating several of the topics discussed in the main text. The authors explain at length that the twenty-first century European rural areas have far more social functions than they used to have until the mid-twentieth century. Rural landscapes should at the same time not only provide food via agriculture and husbandry, but should also provide ecosystem services, and care for a landscape which both inhabitants and visitors can enjoy, such as the walkers depicted on the cover. The chapters I enjoyed the most in the book are the two central ones on “Evolving Activities in the Rural” and “Changing Relationships between the Rural and the City.” The historical perspective of these chapters explains how the way the local economies and local land usages changed through history. This helps to understand how modern landscapes are the result of a long history, which is now accelerating, and the spatial links are obvious. Urban development affects what happens around towns, and the way agricultural production is brought to markets profoundly affects the structure of the rural landscapes. European landscapes will undoubtedly continue to change. How they will do so is a matter of large-scale policies from the levels of the relevant regions to the EU level. The authors implicitly recognize that no private body could induce a policy for the long-term survival of landscapes where tourists will come. The example of Playa de las Américas (Tenerife, Spain), p. 192, became a textbook example of what happens to many seaside and mountain landscapes open to mass tourism developers: they have lost the main reason of their existence and enter decline, while new destinations emerge, as the classic paper by Butler (1980) explains. The recognition of this cycle should have now reached the policy makers. The future of agricultural practices is at the crossroad between policies decided by the political agendas and the practitioners. 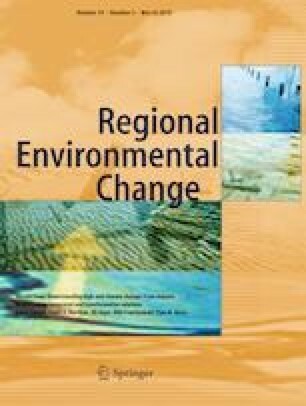 The ways policies may influence land management, from laws and regulations to symbolic and learning tools, are the subject of the last chapters and should be read by policy makers. An efficient landscape planning is the one “which produces more attractive environments that would not emerge in the absence of planning” (p. 220). This sounds like a tautology on “planning,” and yet is key to long-term management of an area. The example of the Tuscan Landscape Plan is explained in a few pages to show how all levels of the local society were involved into a holistic effective approach. The use of mostly positive examples and sometimes negative ones should give plenty of food for thought for active and future land managers.